9 Bedford Row International – The European Court of Human Rights: Master of the Law but not of the Facts? 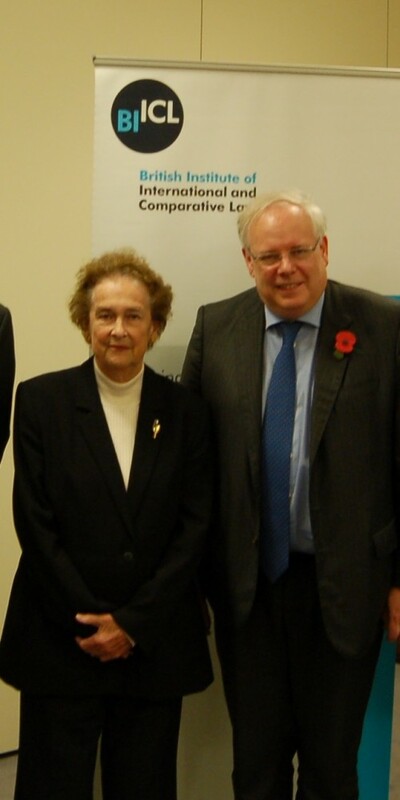 The British Institute of International and Comparative Law’s event ‘The European Court of Human Rights: Master of the Law but not of the Facts?’ took place at Senate House on the 6th November 2014. Judge Dean Spielmann addressed the difficult issue of whether the Court can really separate the process of assessment of law from the assessment of facts. The full text of Judge Spielmann’s speech can be found here. Dame Rosalyn Higgins gave an engaging and thought provoking closing address. The event was chaired by Steven Kay QC. The event was proudly sponsored by 9 Bedford Row.